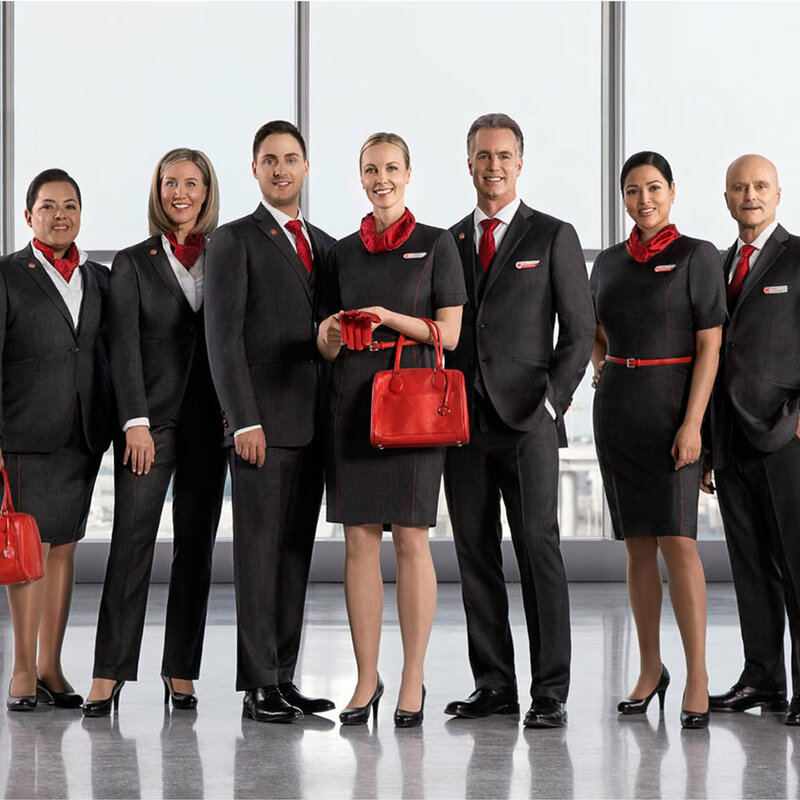 To celebrate Canada’s 150th birthday, Air Canada announced a partnership with Christopher Bates to redesign the company’s iconic uniforms. With a keen understanding for Canadian fashion and a sharp eye for design, working with the country’s most distinguished airline was an honour for Christopher Bates.. The new uniforms debuted in collaboration with Air Canada’s new livery. NordströmMatte successfully launched both the livery and the uniforms nationwide with simultaneous debuts in Vancouver, Montreal and Toronto. Garnering media across the country, the debut showcased Bates’ distinct style and talent and marked a historical day for Air Canada. ”Of course, there will always be a bit of red in the uniforms, we’re Air Canada, after all,” said Renee Smith-Valade, Air Canada’s inflight service.